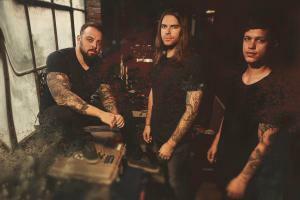 April 5th @ 5pm - Oh, Sleeper makes thier Des Moines stop at Lefty's Live Music. Oh, Sleeper - is an American metalcore band from Fort Worth, Texas that formed in 2006 with former members of Terminal. In over a decade's span, Oh, Sleeper released three full-length albums and two EPs through Solid State Records, and toured worldwide as an opening act. After independently releasing The Titan EP and travelling in the full Van's Warped Tour 2013, the band went on hiatus to allow clean vocalist and lead guitarist Shane Blay to join former-As I Lay Dyingmembers in starting California-based metal band Wovenwar.